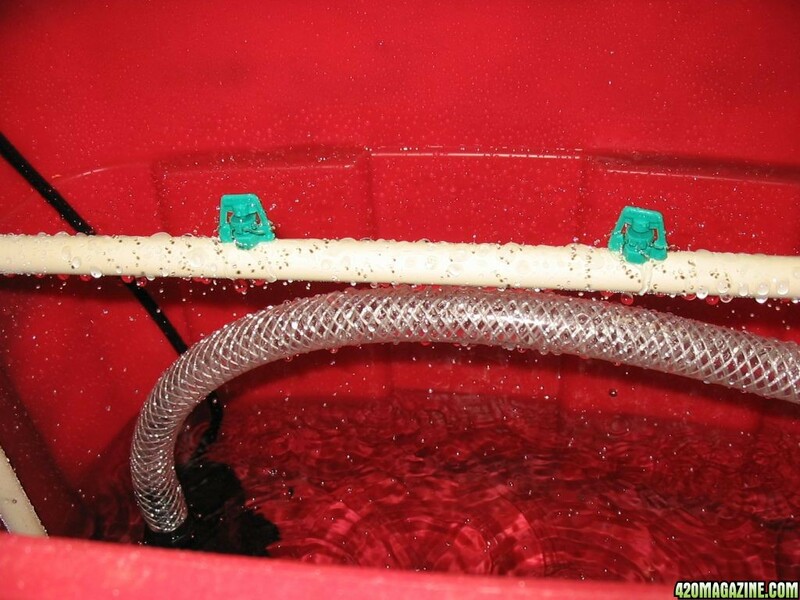 Hi guys this is my prototype hydro setup been looking at these things on ebay for a while and they are made of really cheap materials and they want at least $60= 20-30 shipping for these. I have about 30 of these bins in various sizes and configurations. I also had the plumbing around from old projects and my ponds. One thing I picked up besides the plant baskets and media is a pump I have a few but they wernt up to the task so I bought an eco 396 That I wrote a review about a while ago. Works great now all six pots get equal amount of water. Looks good. 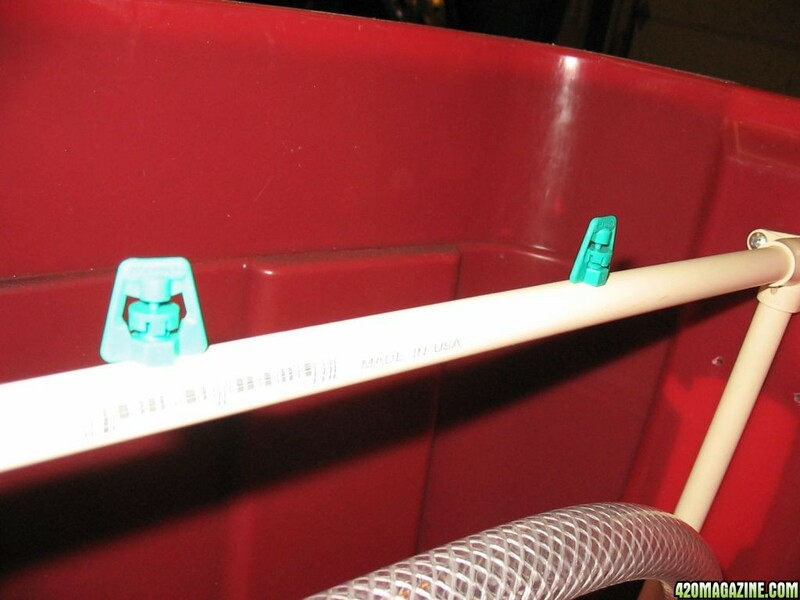 Did you use silicone on the ends where you attached the pvc to the container? 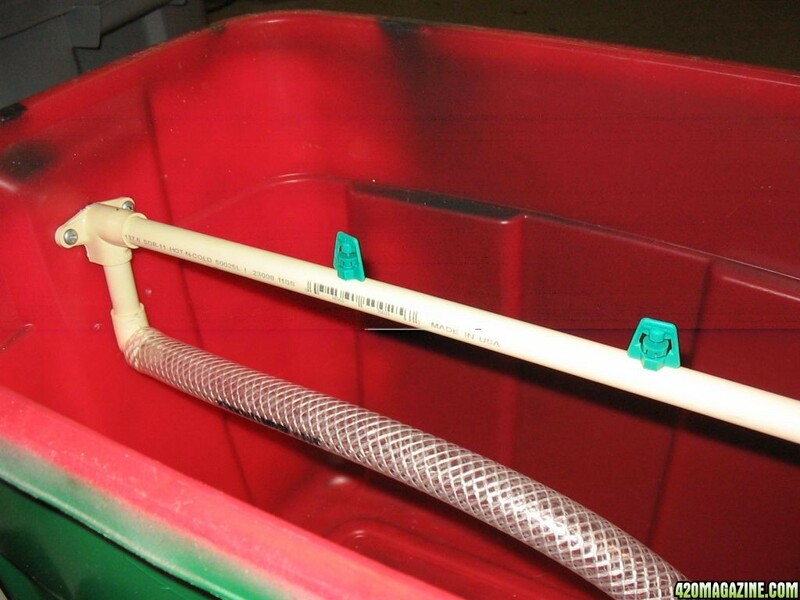 And what about a float or a stand pipe to make sure it doesn't over flow? No, no silicone just mocked up for now I actually have holes from screws when I had pipes set to low that need to be filled. Im going to put a PVC block on the outside around this area to screw into as the contaner is very thin and the screws might eventually pull loose it should seal good enough this way. Is that what you mean by stand pipe? 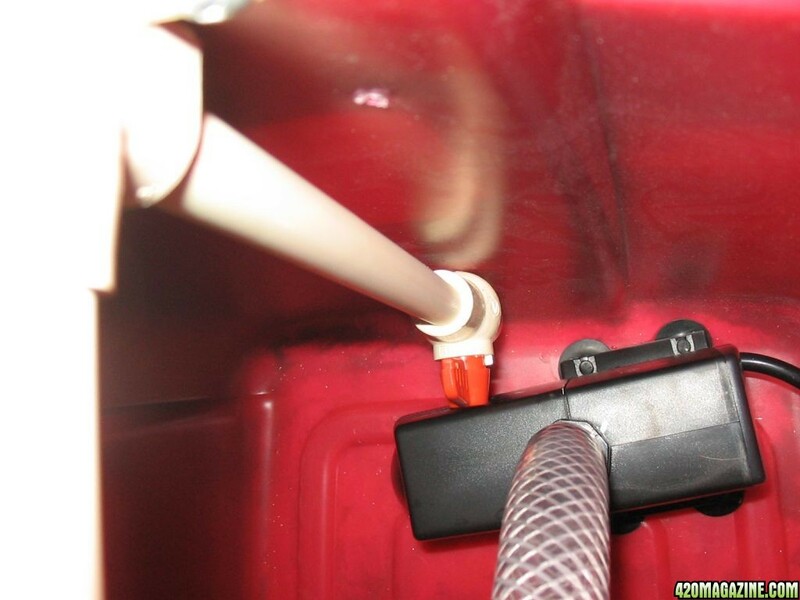 But my goal here was to make a system without hoses or pipes going through the top cover thusly making it easy to remove the top and look inside to inspect things. 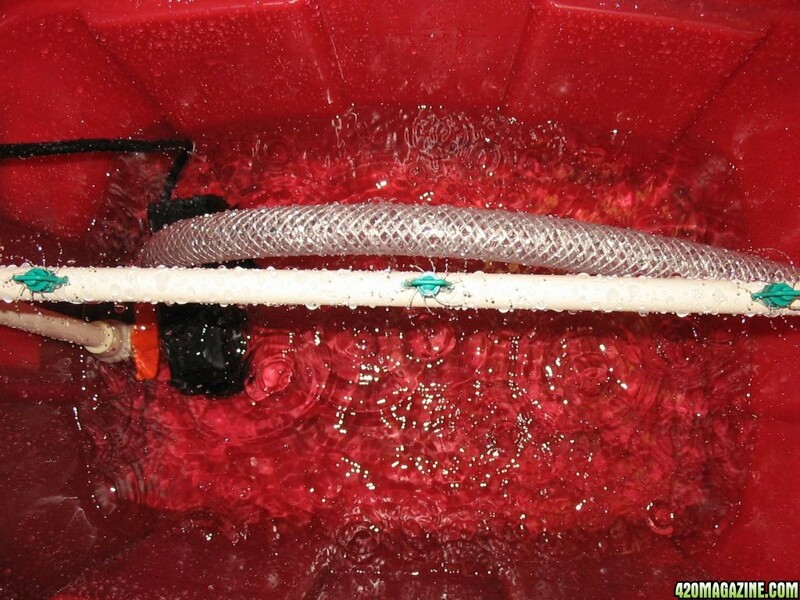 Some of the Ebay setups make me wonder how you would get the tops off with all the hoses. Oh anyone know how to delete my blank post (#2) lol? Nice setup stealth. So would this be considered a aeroponics setup? Kind of like a nft system. Good job. My only concern is filling it to full and it overflowing. 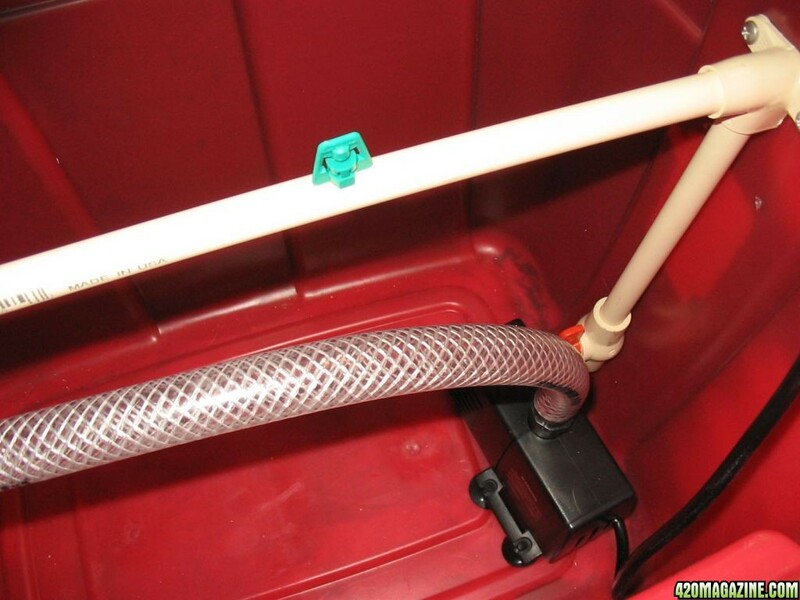 I like the stand pipe method where you put about a one foot pvc pipe through the bottom and into the tub and sit it at the height that you want it to stop filling at. No problem. One note I have upgraded to a bigger pump the 396 was exceptable but for these spray heads more pressure is better. If you use EZ-cloner spray heads then the tubing needs to be lower as they spray up at an angle and these just spray horizontal. Looks good. I made one of these about a year ago. The only thing I dont like about them is having to lift the top to access the reservoir. Its a big hassle, specially if you have big plants growing in it. That and unless you use a big tote the plants are a little crammed together. If you can make it in a way where you dont ever have to lift the top, I think that would be great. Keep me posted if you figure a way out with a system like that. Looks good though. MMRC's Continuious Hydro Grow - Church-Lemon Skunk-PPP-OG Kush-GWS & more. 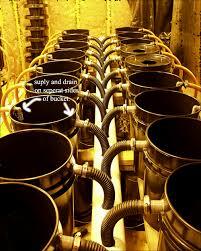 Water is pumped in from the bottom side and what you see is the overflow and return. I like the vent aeration valve set up and I think that is going to be added just before the water enters the buckets from the low side. I'm wondering if pure oxegen injected into these would be even better? To change and test the nutrients, you have to lift the top that the plants sit in... right?? Maybe I'm looking at it wrong. overflows near the top, and that is what you see here in the middle of the picture. There is no top. The buckets are filled with aggregate growing media. Huh..?? lol. Oh.. okay. 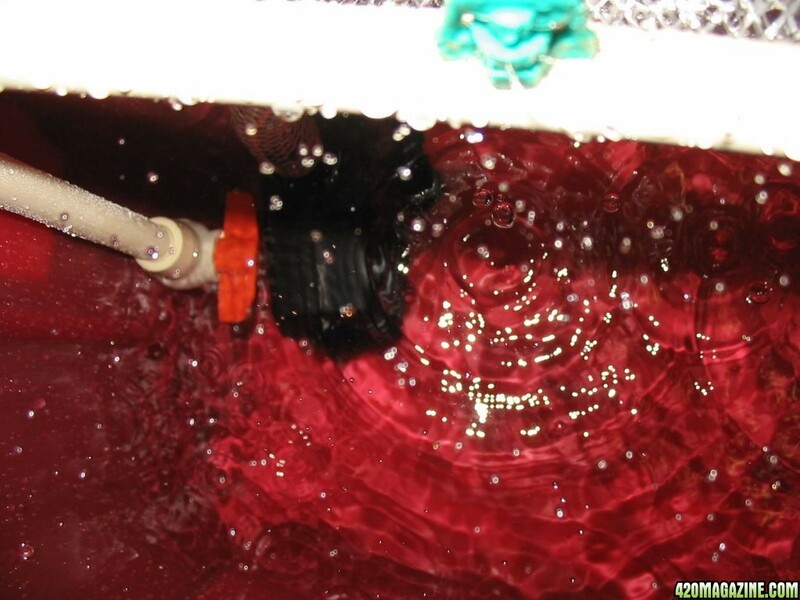 Your referring to your bucket Ebb and flow system, in the little picture right there. 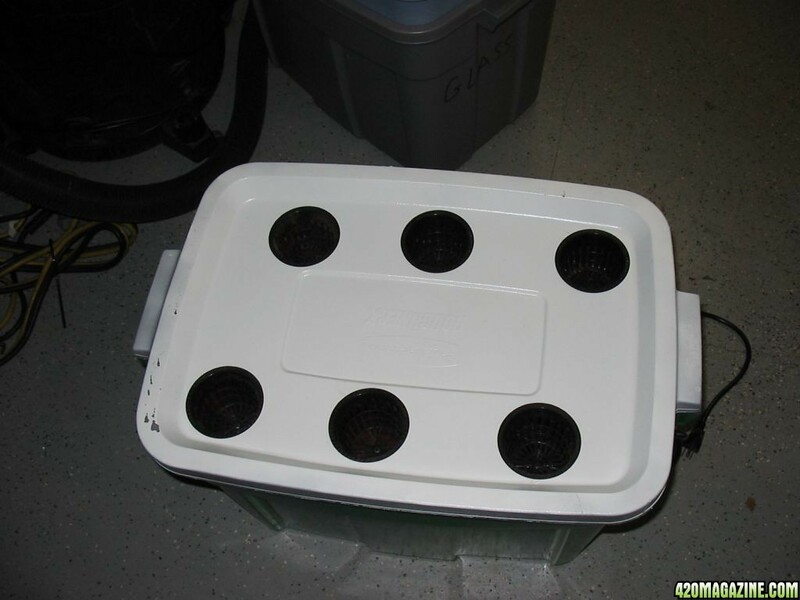 I was talking about his home made tote system that he made and how the plants sit in the netcups on the tote lid. I have been using a system like this ebb and flow, but the clean up is a biatch with all the aggregate. Hence, I am thinking about going to something a little more streamlined. I do have an issue with the fact that both systems have an achilies heal, and that would be pump failure. Yes pumpfailure would be bad lol I have an airstone in mine so as long as the roots reach the water level it acts as a DWC system. I only have 3" cups but I got over washing my balls after one run lol. Im tring just rockwool now well see if that works. I was talking about his home made tote system that he made and how the plants sit in the netcups on the tote lid. I added a pipe out the side with a valve for this very thing. I dont have to lift the lid if I dont want unless I need to get every last drop out or clean it good. I dont have pictures of it after it was added but you can check it out in action in the grow in my sig. Well Ive changed it significantly since these pics. Might as well update it since its getting attention. 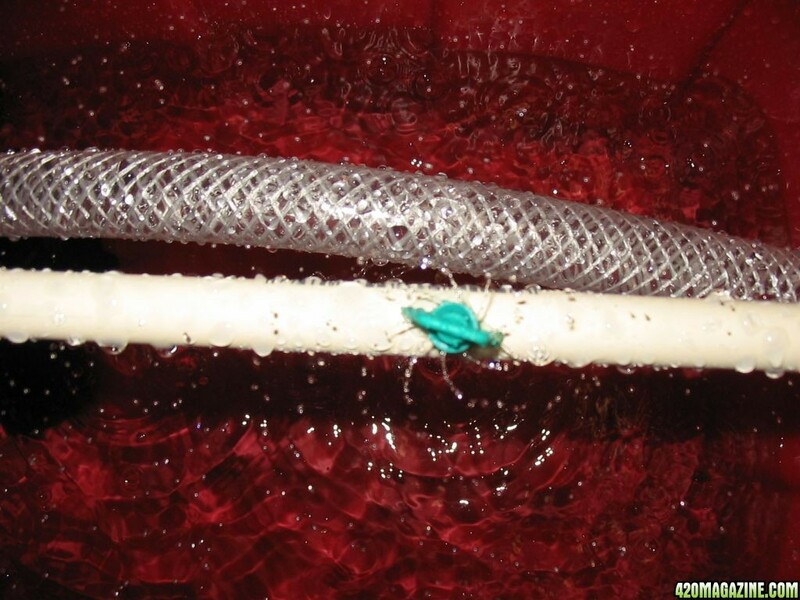 in second pic you see the venturi doing its thing in third pic you see air inlet for venturi. This is how its running now with ten gallons. My original idea was to have a separate reservoir and just drain to it but ive never had the room to realize that setup. I think Im goin to just go straight DWC for now and reinvent the wheel later.